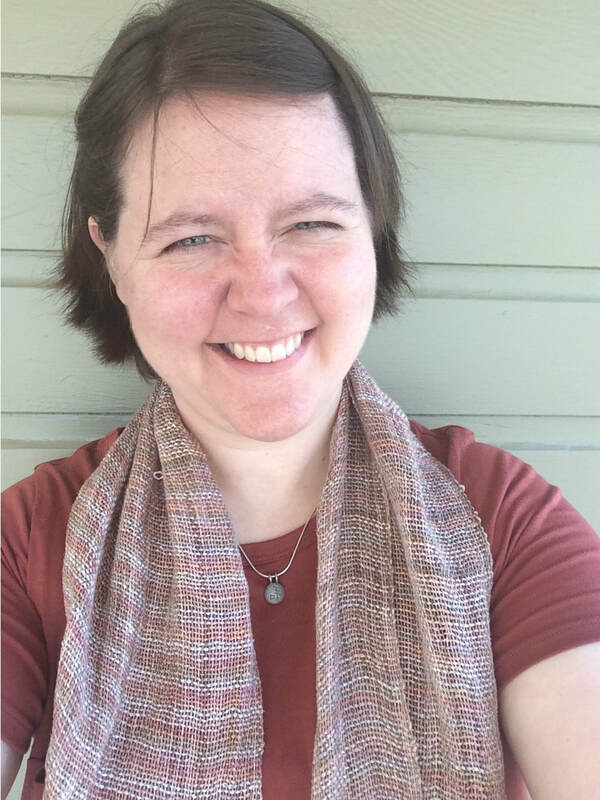 ​I'm Lindsey Spoor, and I'm the owner of Stilly River Yarns. Owning a local independent yarn shop was never in any career plan that I made in high school or college. I studied and trained to be a high school French teacher, then worked in public high schools in the Midwestern United States for six years. No matter how much I loved teaching, however, it was frustrating to see the focus in my district shift towards paperwork and meetings - and away from the planning, collaboration with colleagues, and time with student work that mattered most. After my daughter's birth, I took stock of the situation and decided to step away from the academic classroom. ​To make a very long story short, I had picked up knitting and crochet during my early years of teaching, and I returned to these hobbies to find a community. After becoming a regular at my local yarn shop in Wichita, Kansas, the owner had me start teaching knitting classes... then clerking before and after classes... and then had me take on the task of managing the extensive class schedule. After my family and I moved to Stanwood in 2012, I got involved in the active, fertile fiber arts scene in the Pacific Northwest. I had the opportunity to learn the ropes of fiber arts retail and attend national trade shows, which got me seriously interested in running a yarn shop... and now here we are. ​Professionally, I'm known for providing awesome customer service and support, finding perfect yarn and pattern combinations, garment fitting and modifications, swatching with gusto, and having a fantastic color sense. I'm also known for my ability to do "forensic project analysis" - what's gone wrong (or differently than expected), and why? Customers appreciate my expertise, my honesty, my patience, and my ability to say "I don't know" - then find an answer or solution. My absolute favorite shop moments happen when customers bring in their newly completed projects that they love and take great pride in. When I'm not at the shop, I'm more than likely with my family. My husband, Eric, is an electrical engineer and darn-handy-builder; he designed and custom-built almost all of our shelving and other fixtures in the shop. We have a daughter, Alexandria, and a son, Nicolas. Our favorite family activities are reading, watching movies, building with Legos, traveling, hiking, and singing along to the Hamilton and Moana​ soundtracks. I'm also an avid photographer and a reluctant-and-slow-but-persistent runner, and I volunteer as a Girl Scout leader for Alexandria's troop. ​I look forward to meeting you at the shop soon!